Poland's Krzysztof Penderecki will conduct a concert to open the 15th International Henryk Wieniawski Violin Competition in Poznań, western Poland, on Saturday night. Penderecki will conduct German orchestra Die Deutsche Kammerphilharmonie Bremen’s gala concert. South Korea’s Soyoung Yoon, the 2011 winner of the event, will appear as the soloist in Beethoven’s Violin Concerto in D major. Forty-eight violinists from 17 countries, including the United States, Canada, Ukraine, Israel, Georgia, Russia, New Zealand, China, Japan and Poland, will begin first-round auditions on Sunday. They were selected from 250 candidates by famous violin virtuoso and conductor Maxim Vengerov, who chairs the competition jury, in preliminary auditions held in Poland, Canada, Japan and Switzerland. Prizewinners' names will be announced on 22 October. 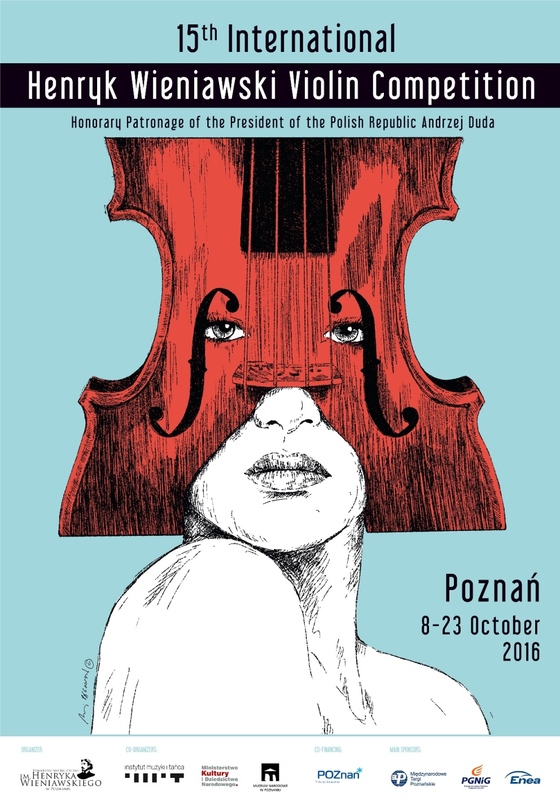 Held for the first time in Warsaw in 1935, the Wieniawski Competition is the world’s oldest violin competition. It moved to Poznań after a lapse of 17 years and has been held in that city every five years since 1952. 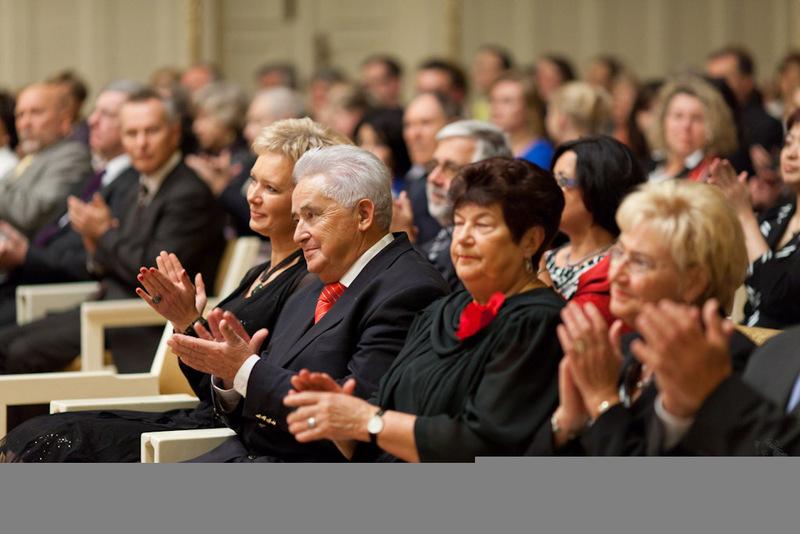 Its past prizewinners include Ginette Neveu, David Oistrakh, Ida Haendel, Grażyna Bacewicz and Agata Szymczewska. Henryk Wieniawski was considered a violinist of great ability and wrote some very important works in the violin repertoire, including two technically demanding violin concertos, the second of which (in D minor, 1862) is more often performed than the first (in F-sharp minor, 1853). His L'École moderne: 10 Études-caprices is a very well known work for aspiring violinists. His Scherzo-Tarantelle, Op.16 and Légende, Op.17 are also frequently performed works. He also wrote two popular mazurkas for solo violin and piano accompaniment (the second one, Obertas, in G major), using techniques such as left-hand pizzicato, harmonics, large leaps, and many double stops. Wieniawski was given a number of posthumous honours. His portrait appeared on a postage stamp of Poland in 1952 and again in 1957. A 100 złoty coin was issued in 1979 bearing his image. The first violin competition named after Wieniawski took place in Warsaw in 1935. Ginette Neveu took first prize, David Oistrakh second, and Henri Temianka third. The International Henryk Wieniawski Violin Competition has been held every five years since 1952. Poland’s Maria Włoszczowska is among the seven finalists of the Henryk Wieniawski International Violin Competition in Poznań, western Poland. The other finalists are Richard Lin (Taiwan/USA), Ryosuke Suho (Japan), Veriko Tchumburidze (Greece/Turkey), Luke Hsu (USA), Bomsori Kim (South Korea) and Seiji Okamoto (Japan). In the final round, which opens on Thursday, they will perform two concertos, including one by Henryk Wieniawski, the 19th century Polish violin virtuoso and composer to whom the event is dedicated. They will be accompanied by the Poznań Philharmonic Orchestra under Łukasz Borowicz. The prizewinners’ names will be announced on Saturday. The international jury is chaired by the famous violinist and conductor Maxim Vengerov. Twenty five year-old Maria Włoszczowska is among Poland’s top violinists of her generation. Five years ago she failed to qualify for the finals of the Wieniawski Competition but received five special awards. She has performed with most of Poland’s symphony and chamber orchestras and in many of Europe's concert halls, in Britain, Germany, Holland, France, Norway and Switzerland. I think few people will dislike this piece by Wieniawski - Scherzo tarantella, played by 8 yo boy from Latvia. These boys remind me of myself decades ago, my parents made me attend the music school and play the violin, I was to become a virtuoso so that they could cry listening to me. And they did.